Sweet Speech: Mmmore sushi, please! 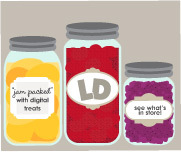 So, I'm really loving this clipart from Lettering Delights. It's so stinking cute! Sushi Reinforcement game you can pick up at Teachers Pay Teachers or Teachers Notebook. Sushi Language Freebie to go along with the set. Click here to download color and B&W versions. 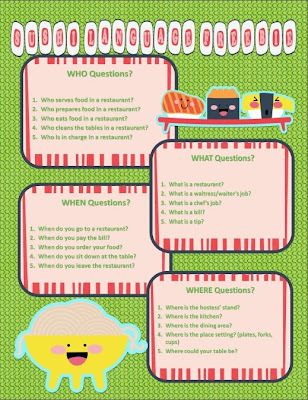 It's a one page print out of some WH questions that focus on eating at a restaurant. I've provided both color and black & white options for printing. I hope this will be useful to you at some point over the school year. Stay tuned for some amazing news from Teachers Notebook tomorrow! !